Minecraft is about to get a whole lot "Better Together" with its next major update, unifying the game across multiple consoles and platforms, letting you play (almost) anywhere. Here's all the details you need to know when it drops later this summer. The "Better Together" update for Minecraft affects multiple versions of Minecraft. No longer separate editions, Windows 10, console and mobile will all become one unified game, with all the same features. That means the mobile edition will have just as much content as the PC version, and all texture packs will be unlocked -- you can even use custom textures and skins on console if you already own the Windows 10 version. Your account will carry over, letting you play on the TV, on computer, or mobile and keep your progress. There's a lot of big changes coming to Minecraft, so let's break it down and see what's new. The Better Together update will unify Minecraft on multiple mobile and console platforms to match the current version on Windows 10. Minecraft: Pocket Edition, Minecraft: Xbox One Edition, and Minecraft: Nintendo Switch Edition will simply become "Minecraft" -- owners of all three editions will get the new edition on each platform for free. The new update unifies mobile, Xbox One, Nintendo Switch, and Windows 10 PC versions of Minecraft, allowing people to finally play together. A new marketplace will be available for all versions, allowing you to download and apply texture packs that were previously version-exclusive. More marketplace features have yet to be announced, but it likely means new worlds and new texture packs are forthcoming. All versions of Minecraft will feature in-game servers you can jump in and join right from the menu. This includes the most basic, obvious and awesome servers at launch: Mineplex, inPVP, Lifeboat, and Cubecraft. Minecraft: Realms is still supported, duh, and you'll be able to access your private servers from any updated version of Minecraft. 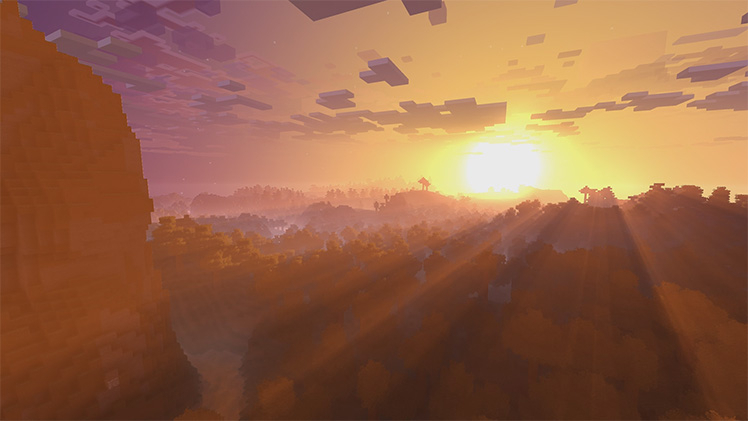 All versions of Minecraft will gain a big graphics update, enhancing the look and feel of everything in the game world -- up to and including HDR and 4K resolutions for systems that support that kind of thing. Old-style Minecraft is still alive and well. The original version that runs on Java on PC will officially become Minecraft: Java Edition, and is still supported as a separate version from the "main" edition of Minecraft. There's even more coming to the update, thanks to the unification of editions. That means multiple editions are getting multiple updates to catch up. Depending on which version you own, you'll get some (or all!) of these new items, updates and features. Pocket Edition and Xbox One are both catching up. While not all of these features are confirmed, we can definitely look forward to shields and parrots, as the devs confirmed their work on Twitter.